I took a shower and when I got out, this was the letter he left behind. Dear “Resident?” A ghost? 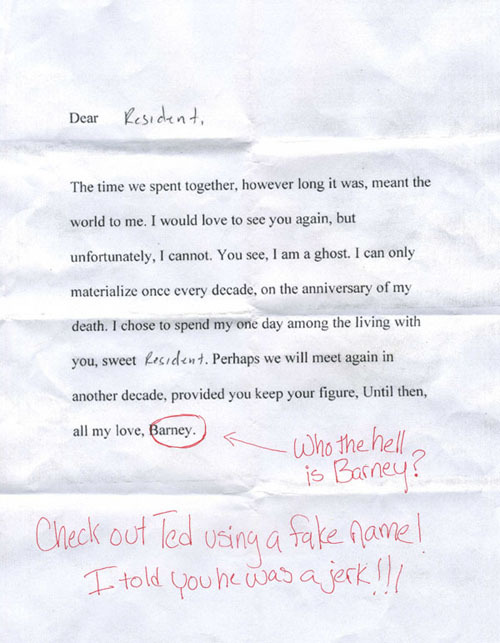 Love, Barney? Seriously?! This guy is the biggest jerk on the planet.